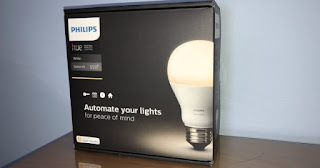 Home News My first experience: How to install Philips Hue and use HomeKit? My first experience: How to install Philips Hue and use HomeKit? A few days ago, I started the first phase of a project to make my house a little smarter. It seems complicated and expensive, and I'm not going to lie to you, it can become so if we do not know what we really want to automate in our home. And, it is not always useful to make everything connected, since synergies that compensate expenses are not always produced. But you had to start somewhere, and I think there was not a better start. When we talk about intelligent homes and home automation in general, many times the classic light bulbs come to mind, igniting with a clap of hands . So there was not a better option to start transforming the house other than lighting. And for that, although I shuffled several options, I stayed with Philips Hue, the solution of the most famous lighting company in the world, and one of the pioneers in this technology. In particular, I started with the White Starter Kit , available on Amazon with an interesting offer. With Hue's starter pack, I've been able to start replacing the two-room bulbs, which now respond to the orders I send to Siri . Yes, Philips Hue is fully compatible with HomeKit thanks to version 2 of Hue Bridge , also available separately, and you can control them from your iPhone, iPad, Apple Watch, or even from the fourth and fifth generation Apple TV, through the Siri Remote. And the installation could not be simpler and faster. When I received the light bulbs, the first thing I did was to place them in the places I had chosen, as if they were ordinary bulbs. In principle, you can use them with the classic switches without problems, in fact, you must keep the latter always active , otherwise the lights will not respond. Then, I connected the Bridge to the power grid and to my router, and proceeded to download the Philips Hue app on my iPhone. The app automatically detects the presence of a new bridge in the network, so that we just have to link them by pressing the top button that has the device. Through this application, we can control our bulbs in a much more precise way, in addition, it allows us to activate third-party functions , such as those available in IFTTT, an app that we have already recommended , so it is worth taking a look. On the other hand, it allows you to keep your devices always updated, something highly recommended. In any case, what interested me most was to connect everything through HomeKit. During the installation process, the app itself indicated the steps I should follow, encouraging me to try the good that works. You only need to enter a code that is under the Bridge or in the box to start controlling it from the Home or Siri app, nothing more. From here, it's a matter of trying different commands. The best thing about this last system is that as soon as you link it to one of your compatible iOS devices, you can control the home from any of those connected to the same iCloud account. And the settings of the rooms and the rooms are also shared , so if we activate the Good Night environment from the app, we can start it from our Apple TV, which allows us to control it from anywhere, using our iPad or an Apple TV. In my case, I have been slow to get used to this new way of controlling lighting. Especially because, like everyone else, I have set the routine to manually turn the switch off or on. However, I can tell you that when you do this, you will want to fill your home with these lights. Among other things, thanks to functions such as those offered by IFTTT, which allow you to use the lights as notification alerts , they will make your life much more comfortable. And that having only white light bulbs. I do not even want to imagine the possibilities of a White and Color Ambiance bulbs, which are capable of melting even with compatible video games , thanks to the alliance of Philips with the manufacturer of peripherals Razer. The big problem with all this, the prices, but we have to keep in mind that they are not just light bulbs, but they are much more than that. They are the first rays of light of a bright future towards the connected house of our dreams. And you, have you started to transform your home?